Rather than popping bottles and staying out until the early hours, some people much prefer to bring in the New Year by securing an absolute bargain. 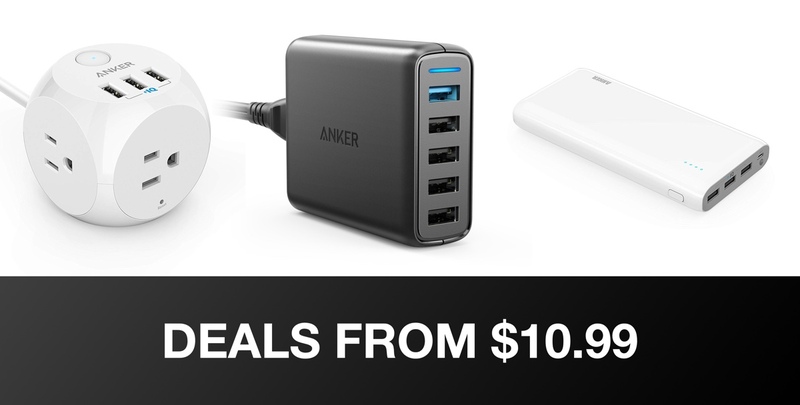 We’re delighted to be able to appeal to those people with this gorgeous collection of Anker hardware, all of which is offered with an immediate and appealing discount. All of the financially frugal individuals out there will definitely raise a glass to these deals. In addition to being trustworthy, highly-rated, extremely useful, and highly reputable hardware from a trusted manufacturer, these deals also have the added benefit of having impressive discounts applied to them. As an example, the powerful Anker Astro power bank complete with an internal 26,800mAh capacity was selling for around the $70 mark. Now, thanks to these deals, it’s just $48.99. There is also a hugely impressive 50% discount on the purchase of a powerful wireless charging pad that offers compatibility with devices such as iPhone X, iPhone XR, iPhone XS Max, and, of course, Qi-compatible Android devices on the market, such as Samsung’s Galaxy S series. You can pick that up right now for just $12.99. Remember, if anything immediately piques your interest then it’s in your own best interests to act quickly to secure the deal. These New Year’s deals aren’t going to last forever so if you procrastinate then you might find the price rising or the stock levels being depleted to the point where it just doesn’t make sense for Anker and Amazon to continue to offer the discounts. Grab the hardware right now and see the New Year in with financial style.